Below you can view all the townhouses for sale in the Sunrise Villas subdivision located in Las Vegas Nevada. Listings in Sunrise Villas are updated daily from data we receive from the Las Vegas multiple listing service. To learn more about any of these townhouses or to receive custom notifications when a new property is listed for sale in Sunrise Villas, give us a call at 702-323-5939. Secluded Courtyard with Decorative Fountain; Freshly Painted; New Carpet in Bedrooms, Tile in Heavy Traffic Areas, New Vinyl Plank Flooring in Master Bath; Kitchen Offers Tons of Storage & Breakfast Nook; Plantation Shutters; New Ceiling Fan with Light in Master; Large Living Room with Gas Fireplace, Built-Ins & French Doors; Large Covered Patio; Community Pool & Hot Tub. MLS#2083311. Realty ONE Group, Inc. This Is A Must See Home. MLS#2089017. Win Win Real Estate. 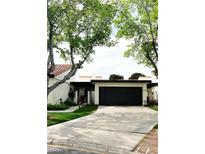 Gated, With Community Pool, Community Spa,Tennis, Nicely Landscaped. MLS#2087447. eXp Realty. This home features vaulted ceilings, two bedrooms with ensuite bathrooms, oversized master with custom bathroom all within a exceptionally landscaped gated community with two pools. MLS#2085903. Rustic Properties. Small, classic, established community of 62 homes built in 1974. Short-term rentals are NOT allowed. MLS#2085567. Urban Nest Realty. Tastefully Updated Remodel In Tree Lined Gated Community*over $50k In Open Concept Design*newer Windows&doors*updated Kitchen Cabinets, Appliances&granite Counters*movable Kitchn Island On Castors*custom Flooring & Paint Thruout*updated Luxurious Bathrms*cozy Private Courtyard*vaulted Ceilings* MLS#2085303. BHHS Nevada Properties. Sunrise Villas 8 has 3 central pool/spa locations 1 open/heated throughout the year. MLS#2083336. Keller Williams Realty Las Vegas. * Own A Piece Of Vintage Vegas* Corner Lot, End Of Cul-de-sac Next To Tennis Crts* Travertine* Frshly Painted Interior/Exterior* Super Open Flrpln W/Massive Vltd Clngs* Great Rm Has Gorgeous Floor To Ceiling Windows Overlooking Atrium-doesn'T Feel Like Vegas At All*wetbar* Upgraded Granite T/O* Open Kitchen With Newer Stainless Steel Appliances* Huge Slider Opens To Private Patio* Indoor/Outdoor Living At Its Best* Two Community Pool/Spas MLS#2083039. Keller Williams Realty Las Vegas. Community has 3 tennis courts and 3 pools. This property won't last! MLS#2081540. Orange Realty Group LLC. HOA dues paid through the end of the year! MLS#2081197. BHHS Nevada Properties. *1 Stry Home In Gtd Comm W/ Lush Landscaping, Pools & Spas*close To Airport/Strip/T-mobile & Raiders Stadium*real Hrdwd Flrs*designer Paint*cathedral Clngs*shutters*cstm Lghtng*flr-to-flr Clngs*gas Fireplace*nest Brnd Therm That Syncs To Phone*wtr Treatment Systm*samsung Ss Appliances In Ktchn W/ 5 Brnr Stovetop, 2 Ovns & Grnit Cntrs*office Area In Bdrms W/ Wlk-in Shwr In 2nd Bth*dbl Sinks In Mstr Bath W/ Wlk-in Clset*2 Lndscped Patios*lrg Grg* MLS#2081086. Keller Williams Market Place. Centrally Located & Close To Hospital, Medical, Strip, Airport, Shopping, Dining. MLS#2077546. Realty ONE Group, Inc. This Awesome Single Story Townhome That Is Centrally Located Is Completely Remodeled,Custom Kitchen With Granite Counters,Upgraded Appliances,Custom Cabinets,Master Bedroom With Jet Tub And Separate Over Size Shower*california Closets,Home Had New Windows 3 Years Ago,Retractible Solar Screens,And Huge Awning.Newer Roof,Seller Has A Extra Room That Can Be Used As A Bedroom Or Office,This Community Is Like A Resort 2 Pools And Spas Plus More. MLS#2076374. LIFE Realty District. 2017*total Foam Roof Replacement Down To Frame Jun. 2015*gorgeous Atrium* MLS#2073678. BHHS Nevada Properties. Very private location within the community and full of charm. MLS#2074640. Wardley Real Estate. PRICED TO SELL and MOVE IN READY! ! MLS#2073328. Maxim Properties. Seller will pay HOA dues through 2019. MLS#2072363. 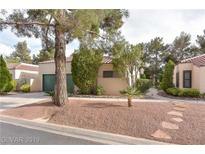 Realty ONE Group, Inc.
Minutes from the strip or to the airport! MLS#2072959. Luxury Homes of Las Vegas. Custom Quartz Countertops, Whie Cabinets W/Ss Handles, Under Cabinet Lights, Stainless Steel Appliances, Master Bath To Die For W/ Stunning Walk In Shower In Master Bah W/Double Sink, Fireplace W/ Patterned Tile, Grey Lam Wood Floors, 2 Full Custom Baths, Atrium W/Waterfall& Lights That Change Color, Great Area. MLS#2071542. General Realty Group Inc.
Gated community. Priced right and move-in ready. MLS#2071844. Realtech Realty. Over-size bedrooms have ample storage space! Appliances included! MLS#2070960. Precision Realty. The community features a community pool and tennis courts. You will love this! MLS#2069808. Keller Williams Realty Las Vegas. Centrally located close to The Strip, McCarran Airport, Downtown Fremont St. and easy access to the '95 freeway. MLS#2068455. Allison James Estates & Homes. 2 homes side by side property is being painted t/o MLS#2066412. Realty Pros. Minutes From Las Vegas Blvd And Unlv. MLS#2064653. Scofield Realty Inc..